Pressure | please select from the sub categories below. 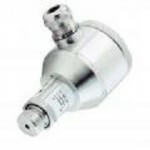 Looking for pressure transmitter, measurement, control and monitoring technology? DG Instruments Pty Ltd stock a range of latest pressure gauges, switches, sensors, transmitters and accessories suitable for varying applications and budgets – from leading suppliers such as Dwyer, United Electric, Burkert, Tecsis and others. Select from our subcategories below, and contact us for further information or enquiries. A collection of quality industrial grade and general-purpose pressure switches for all applications, ranging from one-series to 120 series switches. General purpose, corrosion resistant differential pressure switches for air, non-combustible and compatible gases, with water and explosion proof options. A range of heavy-duty and general-purpose pressure transmitters, including digitally indicating and flush diaphragm pressure transmitters. Stainless steel, brass and moulded polypropylene pressure gauges, for differential, negative or positive pressures, with varying connection options. Battery operated digital display screen pressure gauges suitable for varying applications. Choices of top quality U-tube, fluid filled or plastic moulded manometers to measure positive, negative and differential pressures. All types of isolating diaphragm seals, including 2-piece screwed and bolted, flange type and plug type isolating seals. Pressure limiting valves, porous snubbers and adjustable pulsation dampeners suitable for pressure gauges, switches and transmitters.